Operating under the slogan "Helping those displaced by the conflict in Syria rebuild their lives," and "The future of Syria may be uncertain, but the future for students and families from Syria doesn't have to be," Small Projects Istanbul (SPI) is a volunteer team that has been providing language and skills workshops and support for formal and supplemental education from their Olive Tree Community Center in Çapa for the past year. 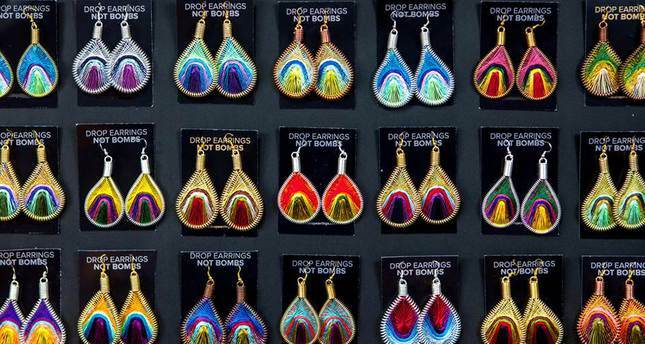 With the growing interest in their activities, and especially in their Olive Tree Women's Craft Collective, in which Syrian women produce beautiful jewelry for purchase, SPI has had to grow. In fact, over doubling in size, the NGO has now moved to a bigger and better space and anyone interested in checking it out is invited to attend their grand opening on April 22. Started up by an Australian expat in 2013, Small Projects Istanbul is a foundation that provides assistance, courses and workshops to displaced Syrians in Istanbul. Since its opening last summer, the Small Projects Istanbul team, which consists of a significant number of expats, have been providing language training, initiating community projects and sponsoring scholarships from their Olive Tree Community Education Center in Çapa, located in Istanbul's Fatih district. In addition to offering a daily schedule packed with activities and classes, such as Turkish and English language classes, they have also been offering handicraft workshops that have become increasingly popular among Syrian refugee women. It was due to the popularity of the craft courses and these women's talented skills that the Olive Tree Women's Craft Collective was formed. Operating out of their center in Çapa, these craft courses offer Syrian refugee women the opportunity to develop their skills in handicrafts and thus be able to earn livelihood support to help them rebuild their lives. 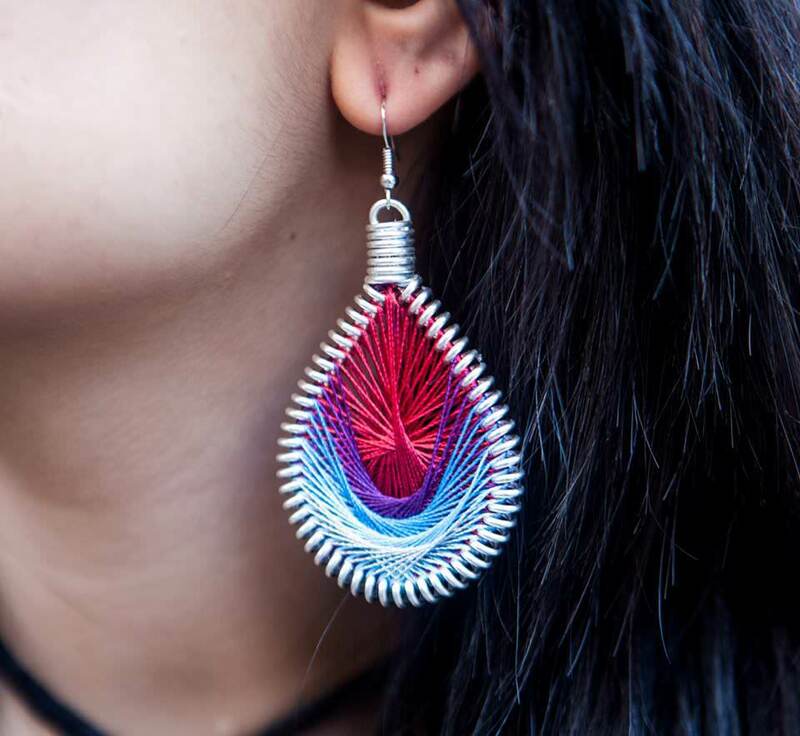 Just some of the beautiful jewelry they produce includes hand-made woven bracelets, silver rings and silver and copper-plated woven drop earrings and they are available for purchase through links offered on the SPI website. Interest in the craft collective and in Small Project Istanbul's full range of activities has grown exponentially. With more than 200 beneficiaries at present and more and more people from the local Syrian community joining each week to attend the Turkish, English, German, Arabic, art and music classes on offer, SPI was feeling the need to expand their space. In addition, there are 70 Syrian women participating in the craft collective at present and a further 40 on the list waiting to join, just adding to the imperative necessity of a greater space to serve as their home base. Small Projects Istanbul has expanded by 250 percent according to SPI Communications Manager Anna Tuson, and therefore, to accommodate this growth, they are moving to a space "2.5 times" larger than their current center. Thus, on April 22, Small Projects Istanbul will be opening their brand new community center. Located just five minutes' walk from their previous center in Fatih, this new venue will provide a better work space for the women of the Olive Tree Women's Craft Collective as well as a safer and more practical area for children's classes and activities. After a month of clean-up and renovations, the SPI team have announced the grand opening of their new community center, this Friday, April 22 from 5 p.m. to 10 p.m., located in Fatih's Mevlanakapı neighborhood on Karabaş Çeşmesi Sokak No. 2. 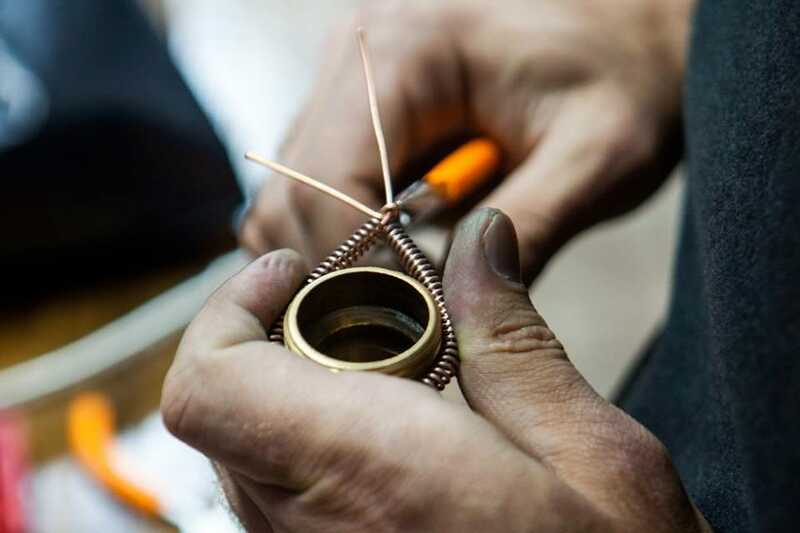 With the expansion, a new joint partnership with Atolyan Artisans will also provide diverse new workshops resulting in further sales channels for the handicrafts produced. "I'm especially excited about the increased capacity for our Olive Tree Craft Collective," says communications manager and craft collective project manager Anna Tuson. "This initiative is really important to the women involved, not just for the financial support, but also the boost to their emotional and psychological well-being," explains Anna adding, "The number of participants has grown so much that we first had to split the group, then later we were still forced to start putting newcomers on a waiting list, which is heart-breaking." 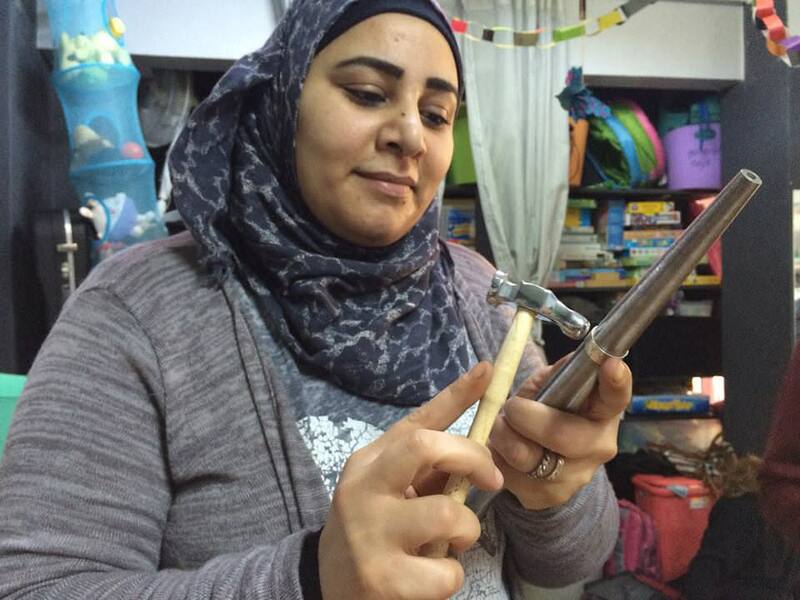 A Syrian woman designing an accessory at workshop. Small Projects Istanbul's new venue will provide better work space for the women of the Olive Tree Women's Craft Collective as well as a safer and more practical area for children's classes and activities. Co-director Shannon Kay, who organizes programming at SPI, says: "Our weekly schedule is packed, with up to seven different activities running every day, thanks to the input from our amazing team of talented volunteers. With this new center, we'll be able to develop the programs even further and bring more benefit to the community we serve." Founder Karyn Thomas, who recently returned from the Harvard Law and International Development Award Ceremony, which recognized her as an honoree in connection with International Women's Day for her work with SPI, is exuberant about the success and positive impact they have had thus far among the local Syrian community. "When we first opened our center last year, I never dreamed it would come this far so quickly," she shares. "We have so many families that rely on us now in many different ways, and there are new faces every week," she says adding, "Moving and expanding like this is challenging, especially financially speaking, but the other option would be turning people away, which we absolutely do not want to do. So we find a way." Although SPI relies heavily on private donations and fundraising, one of their most recent achievements is winning a project grant from the Davis Peace Project in New York. If you would like to make a donation to help, you can bring it on the day of the grand opening or visit smallprojectsistanbul.org. Otherwise, the center is also in need of a range of household items in good condition, such as kitchenware, cushions, towels, plastic tablecloths, shelves, pantry items, garden chairs and table and a lockable display cabinet and any children's games and activities. In addition to providing educational workshops, Small Projects Istanbul has also initiated a scholarship program, in which through donations, they have enrolled more than 50 children in schools. 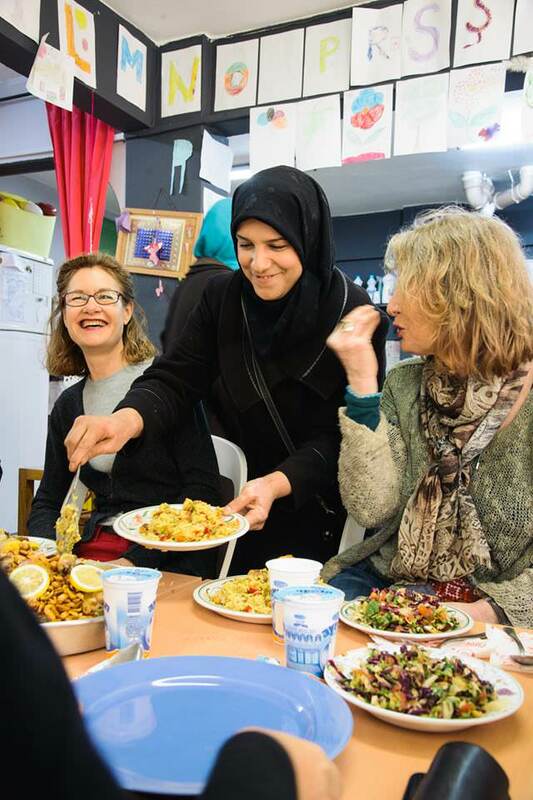 Last month, they also launched a new initiative to bring locals and foreigners alike to a part of Istanbul they wouldn't otherwise see and enjoy a wonderful, home-cooked traditional Syrian meal, prepared by the women in the craft collective who receive the profits in return, held at the Olive Tree Community Center and organized by Urban Adventures. 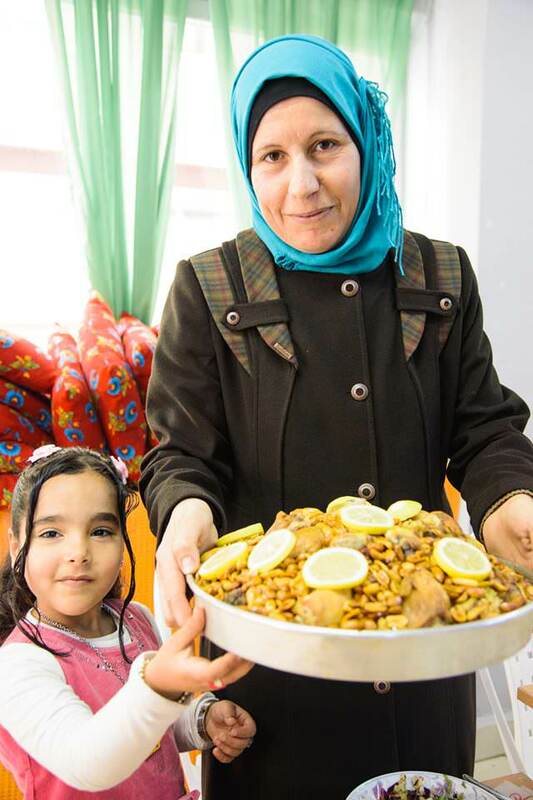 Their Olive Tree Craft Collective has truly proven to be a dynamic force that is drawing wide interest among the local Syrian community wanting to join and customers excited to purchase these charming gift items by serving a good cause. Although with the new center, their activities and products produced will also expand and diversify, they now offer touching "Be the Change" rings and "Anti-terrorism" bracelets, which are being produced in partnership with Grand Bazaar Jewelers, as well as organic cotton urban design tote bags sold in partnership with Twelv12 and their newest yet most colorful and in demand item are their series of stunning hand woven 'drop earrings' through a new initiative on www.dropearringsnotbombs.org.